The Saudis are going crazy! Obama is soon on his way to visit “The Kingdom”. Probably this time his handlers will be smart enough not to have his bowing to the Saudi King photographed! Obama won’t be ordering release of the highly classified 28-page chapter of the Congressional 9/11 investigation that implicates high-ranking Saudi officials! Nor will he be chastising the Saudis for bringing the Egyptian Junta to power or marching into Bahrain. He will be encouraging the Saudi-Israeli connection and expanding the overall clandestine coordination of control of the region with the Saudi Royals. The Saudis are actually going politically and militarily crazy! They orchestrated and financed the Egyptian Military Junta Coup. They sent troops to Bahrain to suppress the popular uprising. They finance and arm the Islamic “rebels” in Syria and are thus responsible for the horrible civil war and the worst refugee crisis in modern history. They are in bed with the Israelis and have pushed the Arab League to adopt a highly deceptive and disingenuous US/Zionist “Saudi Peace Plan”. Last year they sent one of their own to be Arab League Ambassador in Washington and he acts like an upstart intern embarrassing them everywhere he goes. They keep pushing for the U.S. to attack Iran as well as Syria. And now they are threatened to blockade Qatar! A gay Saudi diplomat in the U.S. has been stripped of his passport and ordered home where he will face god knows what! 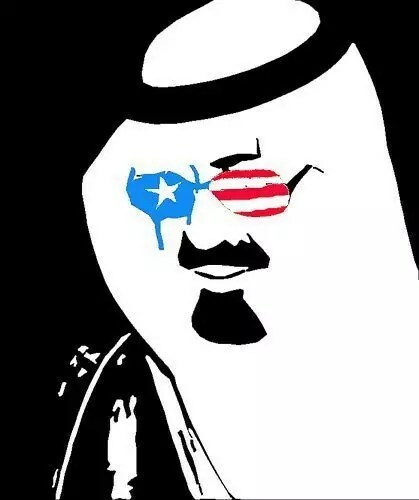 Saudi pressure on Washington is such that the gay diplomat’s appeal for asylum in the U.S. has not been approved! And daughter princesses of the King, from a former “wife” (he has had so many), are being held incommunicado and not allowed to leave their palaces or talk with anyone for fear of what they will reveal about life in “The Kingdom”. And repression of totally peaceful human rights advocates is so widespread and blatant that even the New York Times featured a Saudi so treated in a recent major article. Overall the Saudis are now more exposed, and thus more vulnerable, than ever before. Revolution on the horizon even far down the road? The Saudi Royals are panicking and acting as if they think this is the case unless they come out of the shadows and do what they are now doing more and more in the open. Comments : Comments Off on The Saudis are going crazy!